The Agricultural Producers Association of Saskatchewan says concerns about suicide rates among farmers and mental health supports are starting to get some attention. It's a job where the weather can make or break you, international trade rulings are personal and solitude is commonplace. 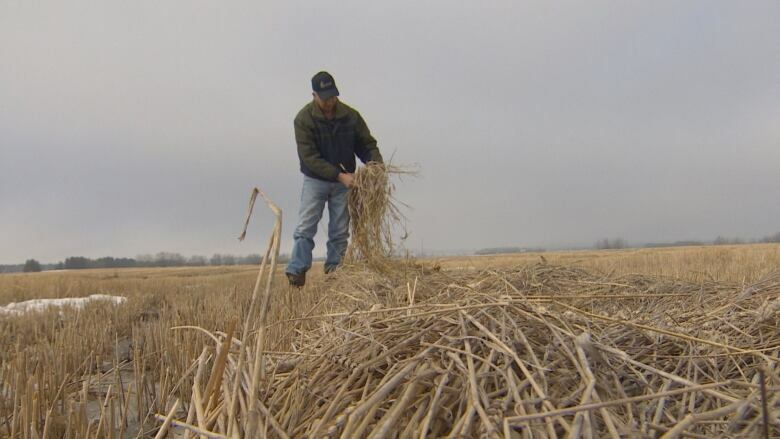 Farming is stressful — and a recent suicide has Saskatchewan farmers speaking out on the issue. Kim Keller, a farmer from Gronlid, Sask., sparked the latest conversation on the weekend after she was contacted by an industry professional looking for resources to help the family of a client who had taken his life. "He was looking for help to help the family get through this and also be able to help his other growers who might be feeling some of the same stresses and pressures," Keller said. Keller, a co-founder of Saskatchewan Women in Ag, said the only resource she could think of was the province's farm stress line. "I thought to myself, we have to be able to do more as an industry for those who are struggling." That prompted a tweet urging the agriculture community to do more on the issue, saying "farm stress is real, suicide is real." She says she has lost count of the messages, texts and phone calls she has received from people sharing their stories and offering to help. "I am blown away by the amount of support," she said. "People reaching out and saying, 'Hey, I'm here to help. Tell me what I can do to help drive this forward.'" Todd Lewis, president of the Agricultural Producers Association of Saskatchewan, said it is a conversation long overdue. "For some, this is the first time they've experienced a drought or a spring harvest. It's been a tough year," he says. "We need to keep talking about this. We know our producers are feeling the pressure." Lewis said APAS is working to incorporate the issue of mental health and suicide into its upcoming midterm meeting on July 13, and will be looking at addressing any gaps in policy and supports available. During the fiscal year of 2016-17, there were 227 calls to the farm stress line according to the executive director of Mobile Crisis Services, John McFadyen. That is down from more than 300 calls the year before. McFadyen said about one in four calls to the farm stress line relates to a mental health issue. The lines are open 24 hours a day, seven days a week. "So it doesn't matter if a farmer's out in the field and when he returns at 11 p.m. or midnight, he can still access services through us at that time of night," McFadyen said. Keller said besides the government, she is also speaking to agricultural companies about what they might be able to do to help their staff talk to farmers. "If you're a lender and you know that your farmer is struggling, you're not just calling to collect the loan but you're also saying, 'Hey, you're not alone in this. We can help you through this," Keller said. For instance, besides a repayment schedule, Keller says counselling services might also be offered.